Hi everyone! 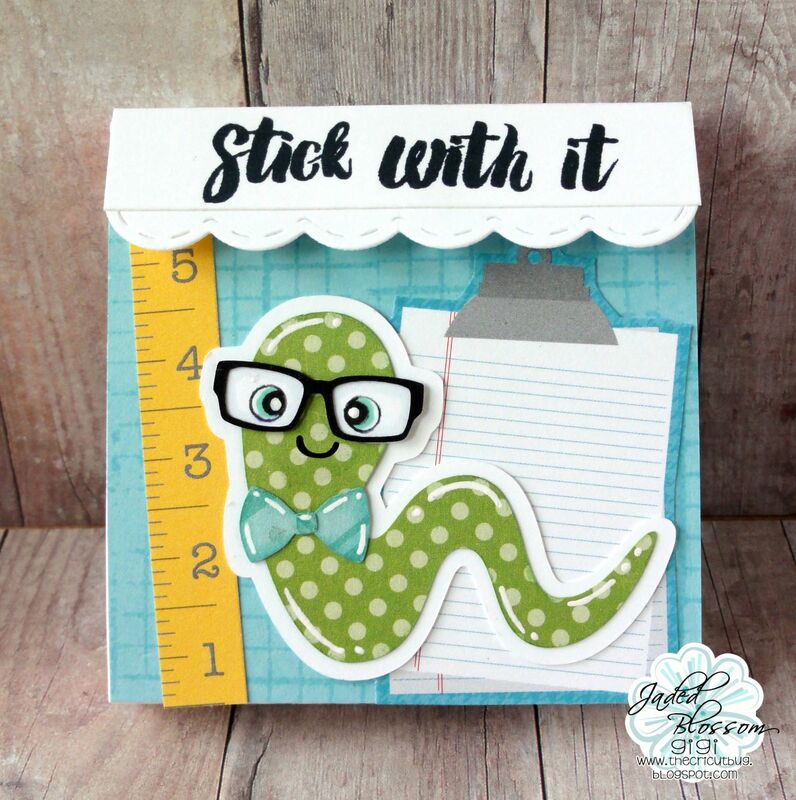 This is GiGi from The Cricut Bug and I have a fun Post It Note holder and short tutorial to share. Isn't this cute?! I love that adorable worm! 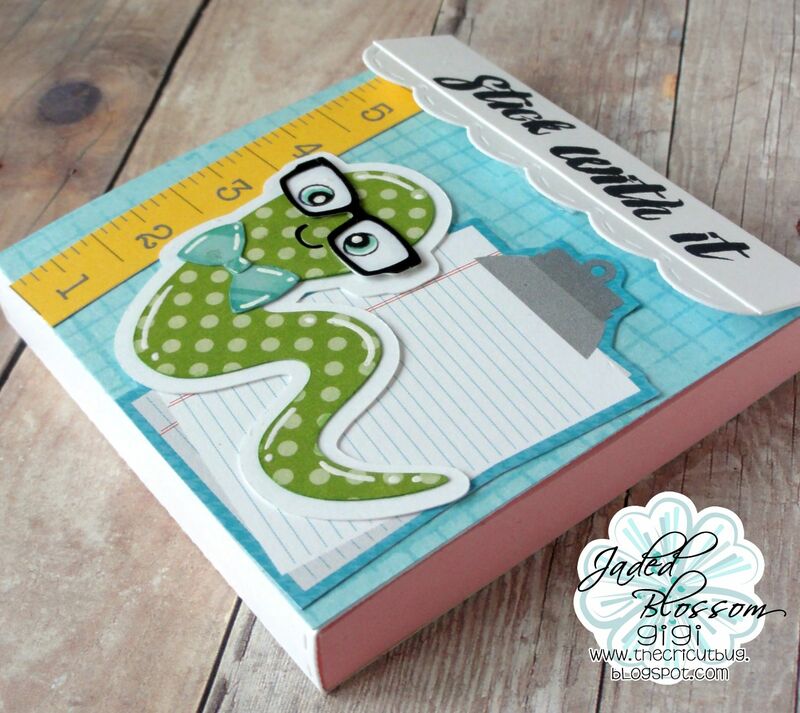 Today I am going to show you how I made this using the Jaded Blossom Lollipop Die. It is the PERFECT size for post it notes! You will start by cutting out the Lollipop Die. 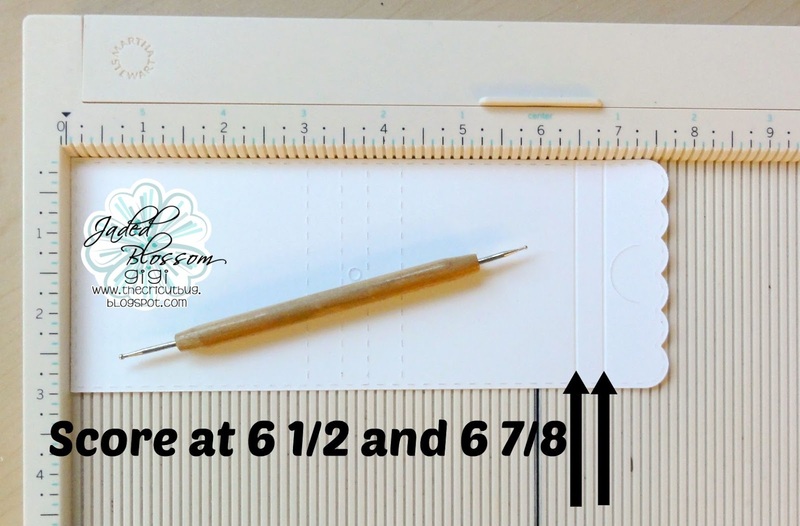 Then you will score it with the scallop side to the right, at 6 1/2 and 6 7/8 inches. Fold along those score lines on the scallop side and the first 2 score lines on opposite side. Glue in a Post It Note pack to the back side of the Lollipop Die. I cut out a piece of blue cardstock to fit the font flap and stamped the grid background with the Paint Splatter 2. I cut the worm from the PPPR Bookworm Couple file and stamped the eyes with the Peachy Keen Erkle and Merkle face stamps. 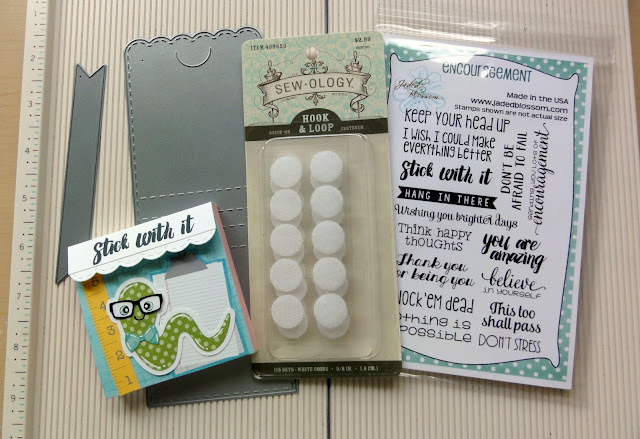 To finish, I cut the Flag Die 2 and stamped the sentiment from the Encouragement stamp set. I cut this die down to fit the exact width of the post it note holder, gluing onto the flap just above the scallop border. I added the Hook and Loop tab to the flap for the closure. PSSST....This would be a perfect project for the challenge! What a great idea, a new way to use this die! It turned out super cute! I just love this!!! Awesome awesome project!! love, love, love......did I say LOVE? I love it! Such an awesome idea.